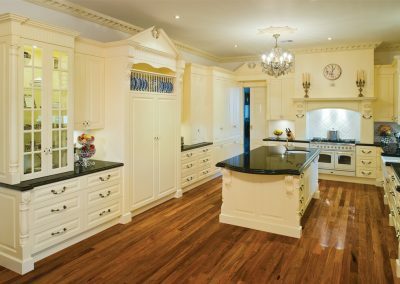 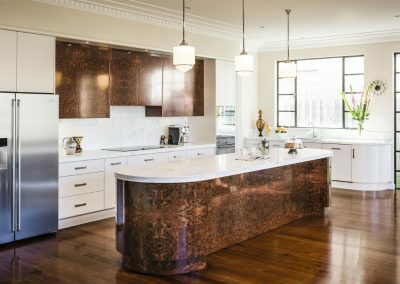 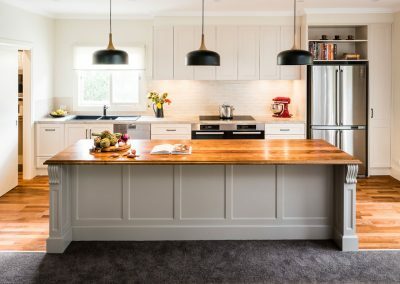 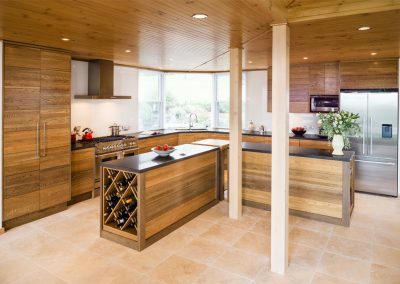 This glamorous kitchen renovation by Smith & Smith Kitchens exudes modern style. 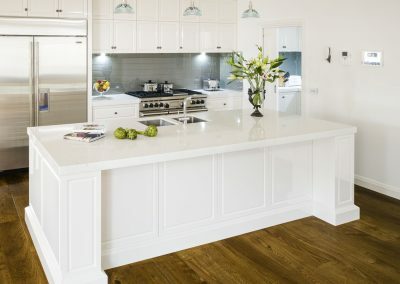 With a range of premium features, including high-gloss white cabinetry, slimline handles, and under-bench lighting, the space is a minimalist masterpiece. 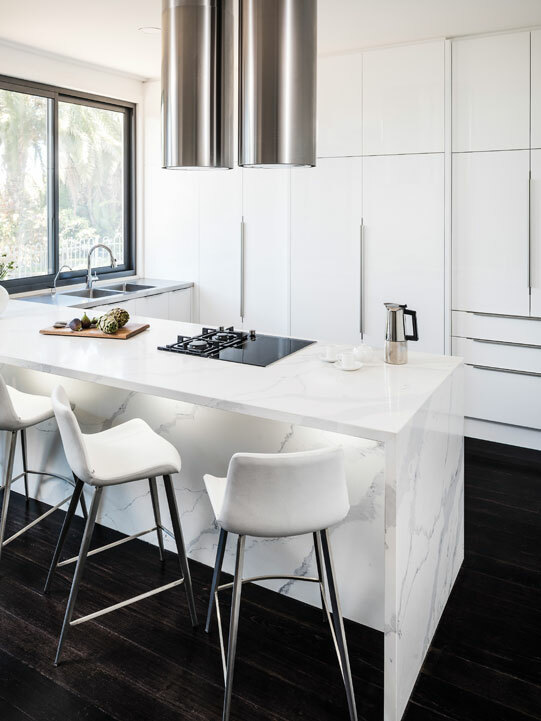 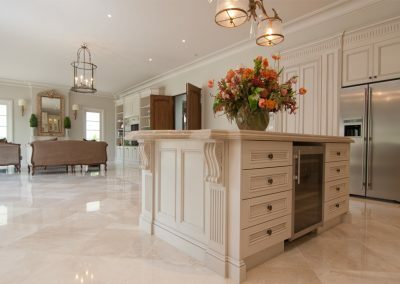 Stainless steel and Lithostone Calacatta Sienna benchtops create the perfect combination of functionality and style. 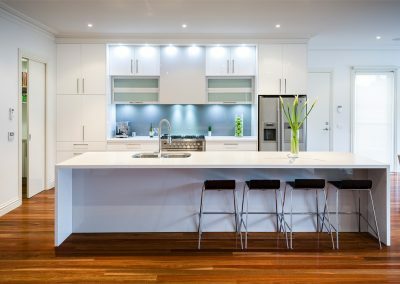 The stainless steel benchtop also features an integrated sink for a seamless finish. 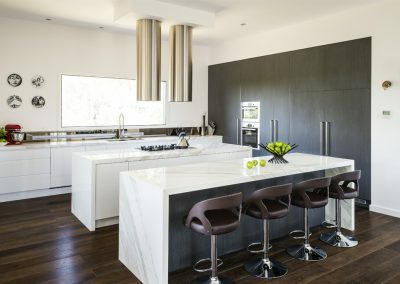 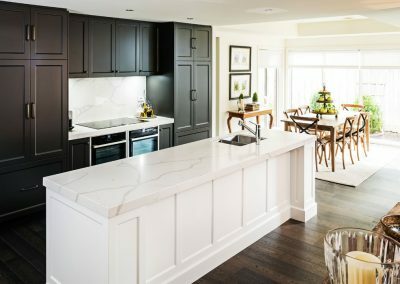 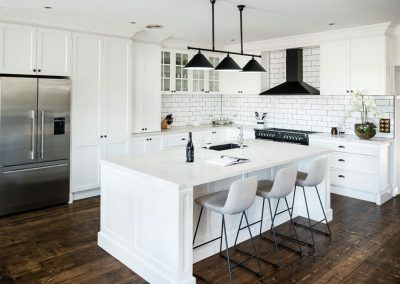 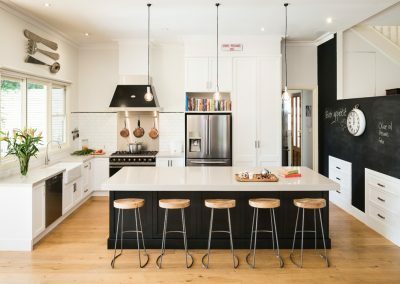 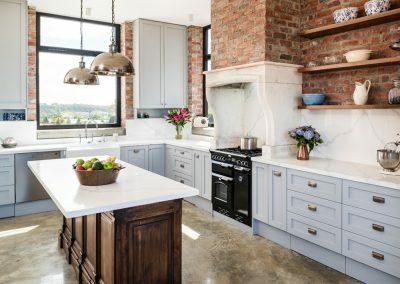 Built as part of a renovation of a 1970s brick home, the kitchen needed to complement the ultra-modern minimalist style while also incorporating the latest appliances for everyday practicality. 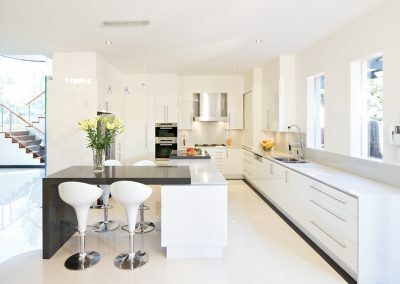 A combination cooktop of induction and gas was installed for optimum usability when cooking. 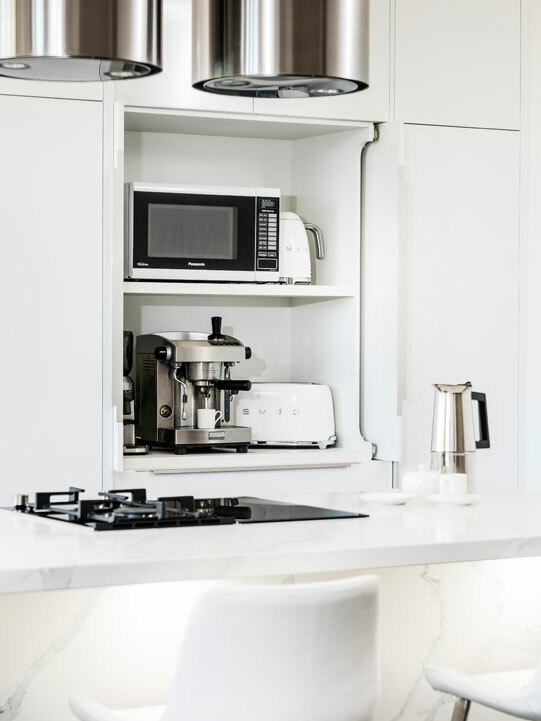 Additionally, cylindrical extractor fans were installed in the rangehood to minimise odours when cooking. 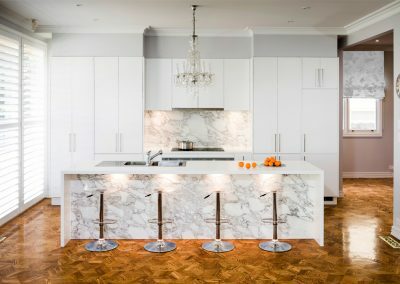 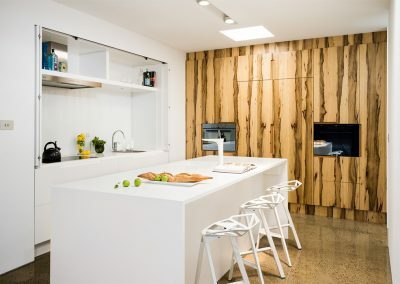 While visual appeal was central to this renovation, the kitchen was laid out with usability in mind; everything is easily and ergonomically accessible without compromising on aesthetics. 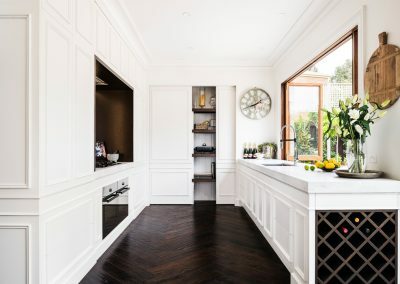 The cabinetry includes a magic corner, pull-out pantry and an appliance cabinet with a pocket sliding door. 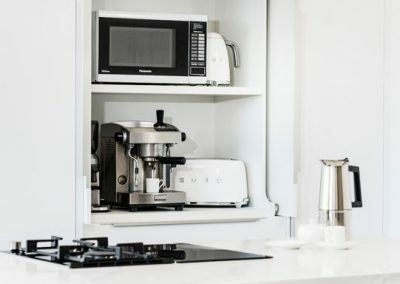 The appliance cabinet provides ease of access to the toaster, kettle and coffee machine, and can be closed for a neat and tidy finish.